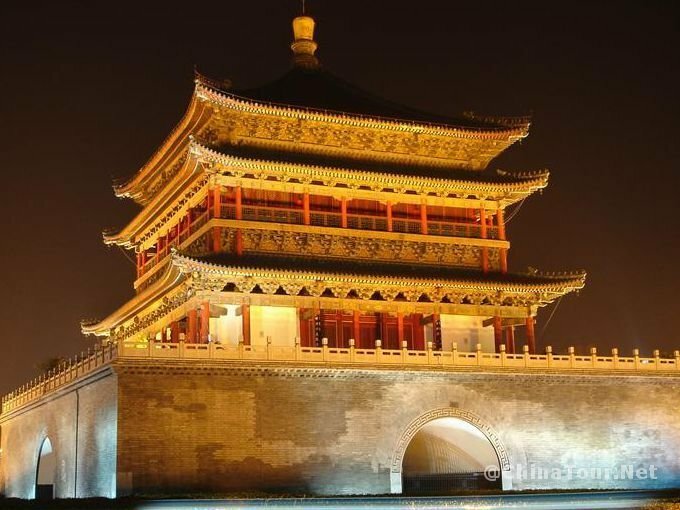 Xi’an Bell Tower is located in the center of the city. 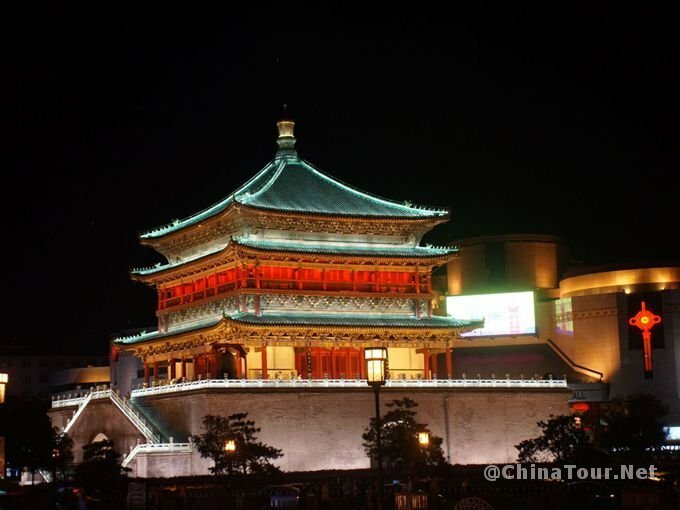 It was built in the 17th year of Emperor Zhuyuanzhang’s reign in Ming Dynasty. The Bell Tower is a three-story wooden structure topped with dark green tiles. 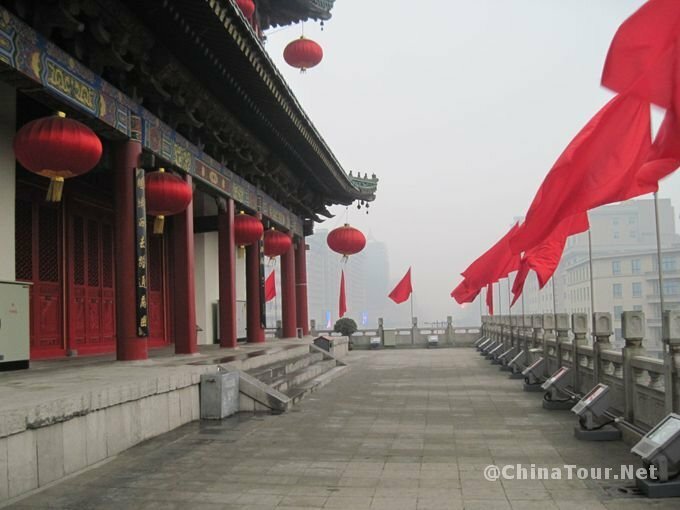 It is a grand ancient building with traditional Chinese architectural features. The initial location of the tower is not the place it is located now. 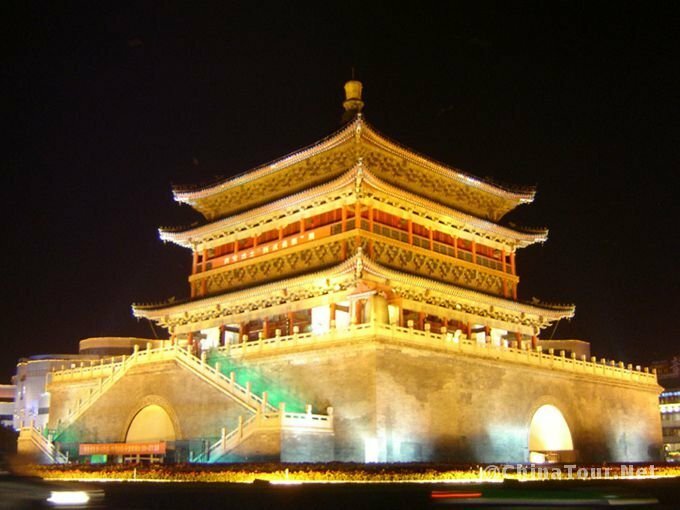 It was first located at Yingxiang Temple, which is opposite of Drum Tower and also the center of the city at that time. With the expansion of the city, the location of the tower is not the center of the city any more. 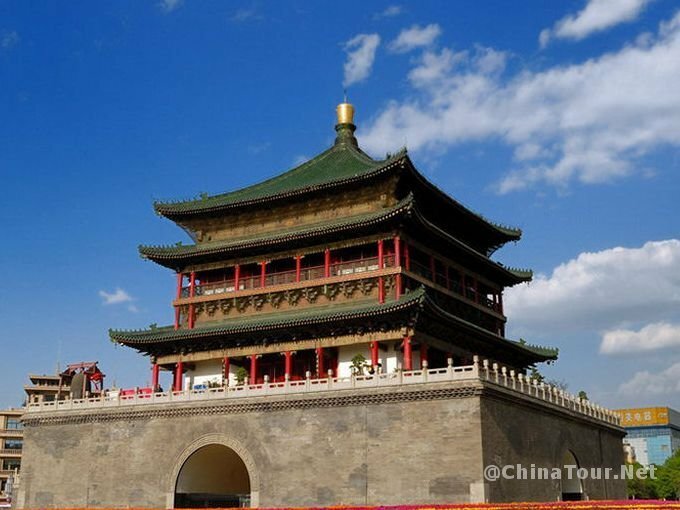 In the year of 1582, the whole tower was moved to the new location. The whole tower was rebuilt with the original parts except the tower base. This kind of reconstruction was rarely seen in the history of world architecture. A large iron bell in the tower used to mark the time each day, hence the name. There are musical performances inside the tower every afternoon and most mornings.